was raised and educated in Germany, France and the USA. After pre-diploma studies at the University of Karlsruhe, Germany, she continued her education at the trilingual European School for Industry and Chemistry of Strasbourg (EHICS, now ECPM). 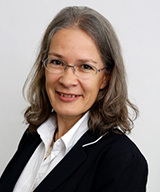 She returned to Karlsruhe to obtain her PhD with Prof. E. Hey-Hawkins in 1994 on the organo-metallic chemistry of early transition metals with phosphido ligands. With a postdoc stipend from DFG, KMF launched her own research on alkali and alkaline earth metal compounds at the University of Tübingen, Germany, before doing a postdoc with Prof. Jean-Marie Lehn in Strasbourg. After a short research stay in Karlsruhe, she moved to Geneva as a Senior Scientist where she established her own research group and obtained her habilitation in 2002. 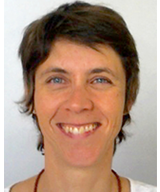 With an Emmy Noether Stipend II from DFG, she first moved to the University of Karlsruhe before accepting an SNSF-Assistant Professorship at the University of Basel in 2003. Soon after, she received a call to the bilingual University of Fribourg, where she is a full professor since 2006. Her research deals with coordination chemistry and nanomaterials, in particular the bioinorganic chemistry of silver, nanomaterials for batteries as well as mixed metal compounds. Since 2011, she is a member of the Research Council of the Swiss National Science Foundation, of which she became vice-president in 2016. In 2013, she was elected as first European Fellow of the American Chemical Society, and in 2018 Fellow of the European Academy of Sciences. studied Chemistry / Biochemistry at ETH Zurich. He obtained a PhD in Biochemistry in 1998 from the University of Basel working with Jurg Rosenbusch. From 1999-2003, Locher pursued postdoctoral studies with Douglas Rees at Caltech, where he determined the first X-ray structure of an ABC transporter. In 2003, Locher was appointed Assistant Professor at ETH Zurich, and was promoted to Full Professor in 2013. His research focus is the structural and mechanistic investigation of select integral membrane proteins. Locher initially focused on ABC transporters catalyzing bacterial nutrient uptake or multidrug extrusion. Later, his group also ventured into the structural biology of membrane-associated glycosyltransferases. In 2011, his group determined the first structure of an oligosaccharyltransferase, a membrane-integral enzyme catalyzing protein N glycosylation. In 2015, his group determined the structure of an ATP-driven flippase of lipid-linked oligosaccharides. Recently, his group determined structures of a human multidrug ABC transporter and a eukaryotic oligosaccharyltransferase complex. The Locher group combines X ray crystallographic and single particle cryo-EM techniques for high resolution structure determination with in vitro and cellular functional experiments and biophysical approaches. 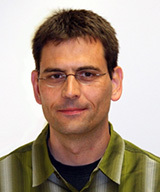 Locher has received the FEBS Letters Young Investigator Award and is an elected member of EMBO. is a senior scientist (directrice de recherche au CNRS) at the Institut Néel in Grenoble. Her scientific interests have led her to work on the physics induced by the general concept of frustration, first structural, then magnetic. She has studied the local order in quasicrystals at the Laboratoire de Physique des Solides (Orsay) and then of metallic melts, in collaboration with a German team. This has led to the first experimental evidence of icosahedral local order in liquid metals demonstrating a prediction of 1952. After a short period at the Laboratoire de crystallographie in Grenoble where she has studied supercritical liquids, she has bifurcated towards non-conventional magnetism where magnetic frustration is a key ingredient. This encompasses the experimental study of materials with various spin lattices and interactions generating competition phenomena and complex behaviour, such as frustration induced novel states of matter and their exotic excitations, multiferroism, magnetic chirality, quantum magnetism. Her expertise is mainly in neutron scattering but also in the use of complementary synchrotron based techniques. She is at present head of the French neutron consortium (Fédération française de Diffusion Neutronique 2FDN).